Here’s a post I plan to publish at pianoparents.net. I thought piano teachers might find it entertaining. I would love to hear some of your comments and stories. Piano studio Etiquette 101. I’ll start with a disclaimer if you are a subscriber to pianoparents.net you probably don’t need this. 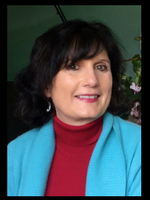 If you care enough to read this blog you are likely are a caring parent who really appreciates your child’s piano teacher. In fact, you will more than likely be flabbergasted by that a post like this even needs to exist (actually I am flabbergasted that a post like this needs to exist). But it does, so keep reading and maybe together we can raise some awareness about how youngsters should behave at the piano studio. 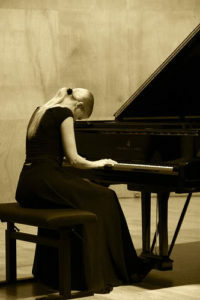 I am an active member of several piano teaching groups on the internet and in “real life”. One issue that has been coming up a lot lately is the fact that children are mistreating the piano teaching space, which in many cases turns out to be the teacher’s home. Stories of kids running amuck through the house, breaking things, leaving messes are not unusual. In fact, they are becoming more and more commonplace. So I invented my own mini-course I call it “Piano Studio Etiquette 101”. 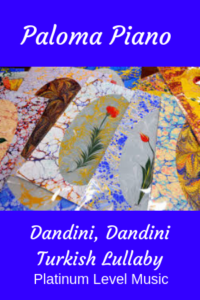 These lessons are geared toward home studios, however, they apply to any space in which lessons are taking place. Your teacher runs his studio on a tight schedule. He also has a life (contrary to popular belief). He needs to eat, sleep, shower and attend to other basic needs. He probably likes to practice, watch TV, spend time with his family and things like that. Please drop off and pick up students on time. 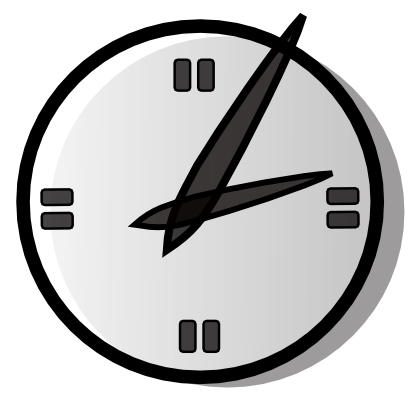 If you pick up late you are keeping your teacher from doing something else or concentrating on someone else’s lesson. If you drop off early…just don’t drop off early, go get a cup of coffee or something and arrive when the lesson is supposed to begin. Stay in the teaching space. If your teacher is teaching in her living room stay there and have your children stay with you. She probably would rather not have kids nosing around in her kitchen (or bedroom). Bring something quiet for siblings to do while the lesson is going on. Lesson 2. Hold the phone! Please put your phone into the silent mode. Most parents don’t talk on the phone in the room during the lesson (thank goodness!). But that pesky texting. All that type-clicking and send-binging = distracting! Ask your teacher if it is OK for you to leave an extra child during the lesson. Your teacher is not running a babysitting service. That being said, sometimes my piano parents will drop off siblings (or a friend) to wait while a brother or sister is having a lesson. I don’t mind if the child is mature enough to sit quietly and do homework or read. However, this is something you should ask him about. Don’t leave garbage in the piano studio. Throw things away in the proper receptacles or take your trash with you when you leave. Better still, don’t bring trash into the studio in the first place. Some teachers don’t mind snacks in the studio. Some teachers don’t like any kind of eating during the lesson. Ask. Let’s face it, we all get hungry. A hungry kid is not going to be a focused one. The same goes for a hungry teacher. Try to eat before the lesson if possible. If your child must snack, use common sense when choosing something to eat or drink. 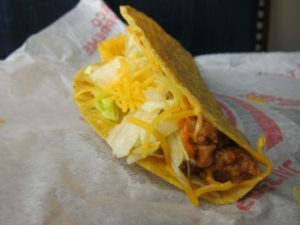 (Taco Bell with extra hot sauce is probably not the best option). And don’t let your child leave a mess behind. If your teacher has a waiting area leave it neat and tidy (assuming you found it that way). If there are toys or books, please put them away before leaving. Don’t leave a leave the place looking like a tornado just went through! Lesson 8. 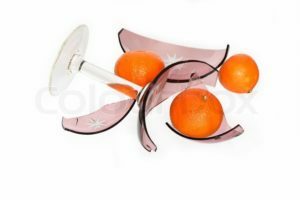 Don’t Break Stuff. This is your teacher’s home (or studio). Don’t let your kids wreck her stuff. Period. Lesson 9. Be a Good Neighbor. Your teacher probably has neighbors. These neighbors may or may not be thrilled to have a piano lesson business in their neighborhood. So please be careful where you park, don’t let your children run around in the neighbor’s yards, chase their dogs, pick their flowers or anything like that. Come and go as promptly and as quietly as possible. If you do see a neighbor be polite and friendly, and have your children do the same. During recitals or group classes, supervise your kids. First and foremost, please be sure they are safe. Your teacher is opening up his home or studio for your children. But he is also opening himself up to liability if your child should be hurt or hurt someone else. Second, be sure your child is respectful of the space and its contents especially when it comes to refreshments! Pizza sauce on the walls and fruit punch on the floor. Not good! I’ll bet a lot of piano-parents are sitting in mouth-gaping amazement. I know what you’re thinking. Do people really do this stuff? 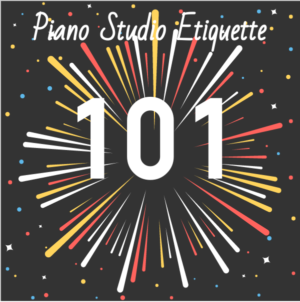 Do they really need piano studio etiquette 101? (Hopefully, that’s what you’re thinking if not maybe it’s time to repeat the course). Yes, Mam/Sir, they do! I’ve actually had all of these things happen in my studio. (Except for the pizza sauce that happened to someone else). Including one mom who knocked over my neighbor’s mailbox almost every week while backing out of my driveway. One Dad who would bring in all of his car’s trash and leave it for me to throw out. Students who would show up any time of the day expecting a lesson. I once had a student come to one lesson skip the next three weeks and then show up on week 4 as though nothing had happened?! And the one that topped the cake was… the mom who sent her 7 year old to my home with his bathing suit and towel so that she could swim in my pool during her sister’s lesson! They need a lesson in piano studio etiquette 101. Thankfully 99% of my families are awesome! They treat me with respect and honor. I treat them the same way and that’s the way it should be! 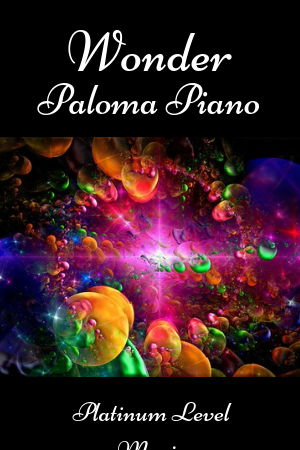 If you would like to receive hundreds of pages of free printable piano games, music, and resources become a forever free Paloma Piano Today! I have found that most people are very nice and mean well. I am really big into educating families about what is involved in learning to play the piano and what we as piano teachers do. I believe that when parents know what to expect and what is expected things run fairly smoothly. First, let me say that I’m not being snarky or judgmental in any way. Anyone who’s followed my blog for a while knows that I have 5 sons of my own. All of them took music lessons and participated in sports, scouting and stuff like that. I know, without a doubt that I was, at times, the cause of exasperation for my boy’s teachers, coaches, and leaders. I always went out of my way to be super nice, respectful, and pay on time, but my Achilles’ Heel has always been organization and scheduling. On more than one occasion, one or the other of my two older sons showed up to an orchestra concert in a wrinkled tuxedo or with two left shoes. Between trying to run a studio of 45 students, holding down a playing career and raising a large family, I found it nearly impossible to stay on top of everything. Every time we got to the right place, with the right stuff, on the right day I considered it a small victory! So trust me, I have compassion for parents. Looking at things from the teacher’s side is a little different. I have a job to do. Teach my students to play the piano. Which we as piano teachers know is a monumental and complicated task. Ninety percent of the time I have no issues with parents. Everything is, as they say, “copacetic”. No serious problems. However, now and again some things come up with a parent that impacts the quality of piano the education I am able to provide. Here are some of the challenging parent-types I occasionally encounter and how I work to resolve them. I’ll take MY challenging parent-type as the first example. I’ll call a parent like me the “overwhelmed” parent. You know… their child is not always on time, not always prepared, sometimes shows up without his music or loses directions to the recital. Obviously, I can relate to these parents. My biggest advice here is not to sweat the small stuff. If they are late, I teach them for the time remaining. I never expected teachers to give my sons extra time if I was late, but I have had some parents in my studio who have. To solve this problem, I always try to make sure these parents’ kids are never last in the last teaching slot and I stick firmly to a schedule. 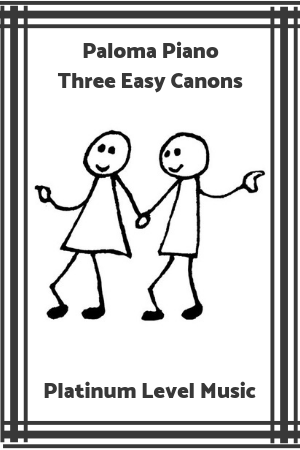 I make extra copies of handouts and of course since my piano method is online and printable we never have to worry about losing or forgetting music. My experience with these parents is that they mean well but, like me, they are probably in over their heads. The second challenging parent-type is the “Only Child Syndrome” parent. This mom thinks her child is your only student. Not only that, you have nothing else to do besides waiting for her to show up. Have you ever gotten texts like this five minutes before a lesson? “Sorry we can’t make it at 4:00 we’ll be there at 5:30” Huh? What are these people thinking? Even if I don’t have a 5:30 student this is just kind of, well…rude. In the parent’s defense, maybe they just don’t understand how a studio works. Make sure to explain everything in your studio policy from the very beginning. After that, if this kind of thing still happens, nip it in the bud. Immediately. Text back or just say no to the time change and be sure to charge for the missed lesson. I’ll say that again, be sure to charge for the missed lesson! Challenging parent-type number three is the “Know It All” parent. I find this funny because these parents are never professional musicians. They may play a little, but usually not. Their child usually doesn’t practice much and therefore doesn’t play well. According to this parent the reason her child isn’t doing well is always because she doesn’t like the music you select for her or you don’t have the right teaching technique. These parents bring in music, make suggestions and tell you how to do your job…can you say INFURIATING? I know these parents mean well and want the best for their child, but it’s hard not to get your back up when someone is questioning your competence. I think the best thing to do in this situation is, stay calm and listen to what the parent has to say. After all, they are paying you and have a right to be involved in their child’s education. Take the time to explain your teaching methods to them. I have found that most of the time these parents are just trying to help and once they understand a little more about what’s happening the problem resolves itself. The fifth and last challenging parent-type I’ve named the “Over-Stepper”. These are the ones that come early, pick-up their children late, drop off siblings, and let their kids run through your house. They don’t pay on time or try not to pay for missed lessons. Arrrgh! Most of these problems can be avoided if addressed in the studio policy and the policy is enforced. Although sometimes it becomes an ongoing battle and you have to continue to stand your ground. So there you have it, my take on dealing with challenging piano parents. I have found that most people are very nice and mean well. I am really big into educating families about what is involved in learning to play the piano and what we as piano teachers do. I believe that when parents know what to expect and what is expected of them things run fairly smoothly. I am also big into educating myself. I teach in South Florida where I have students from all over the world. Some misunderstandings are simply cultural differences I try to be sensitive to these. It is also important that families see you as the “Teacher”. Wise and honorable, dedicated and caring. This is easier for more experienced teachers. When I was a young teacher (back when dinosaurs roamed the earth) I can remember not feeling very confident. It doesn’t matter if this is your first year teaching or your 50th, we are all always learning, so carry yourself with confidence and your families will have confidence in you. Add understanding and compassion to confidence and you can have an awesome relationship with your piano parents. Which in turn, will help their kids become awesome piano players. If you would like tons of free music and resources for your studio. Back in November, I wrote a blogpost entitled “How to have a Confident Audition”. This post was inspired by the fact that four of my best students were preparing for auditions to popular magnet schools in our area. All four of the kids went through the audition. Each worked really hard and felt that they did very well (no major mishaps). I honestly feel that all of them are good enough to be able to “cut it” in these programs, but the statistics say that only one in five students will be accepted. Why am I writing this today? Because today is the day the emails go out. I certainly hope all four of my students will get accepted to the school of their choice, but if they don’t, I have to help them recover and carry on with their musical studies. Because they are too good to quit. I need to help them shake it off and carry on. It won’t be easy.I tried hard to lay the ground-work for a successful audition experience regardless of the outcome. I know this will certainly help if any of my students receive an email saying they did not make it into their choice school. But nothing can take away the stinging blow of rejection. Especially since this whole process is so “hyped” in Palm Beach County. All of the students will receive the emails today and they will all be texting, calling and even SM-ing the results. Four out of five kids are going to be publicly crushed and very dissapointed today. I wish it were not so but it’s something we have to deal with here. I know teachers in other areas also have to deal type of thing. If there is a silver lining to this cloud, every year I have students that go through this process. I have even been through disappointing audition outcomes with my own boys. So I know it’s going to be OK, and this is what I share with my students who are not chosen for the arts schools. Disappointment is not the end of the world. First of all, I tell them that I am so proud of them for trying. They are already winners because they had the nerve to try. This, in and of itself, sets them apart. After that, I share with them my own experiences of disappointments and encourage them not to give up. I have been doing this for so long that I have several students who did not make it into an arts program but have gone on to major in music and have successful careers. I share fact this with my students as well. I do what ever I can to try and help them through the feeling of disappointment. After that I drop it. We choose some new pieces and get down to work. I have never had a student completely fall apart because of the results of an arts school audition. For that I am thankful. I must say that am not crazy about this whole process. The arts schools in Palm Beach County are excellent, but it’s a lot of pressure for children trying to get in and staying in them once they have been accepted. Luckily, children are resilient. If the adults around them handle the situation in a calm and supportive manner, it has been my experience that they bounce back and do just fine. What I really want my piano students to know. I am so proud of all of my students and their families. I am blessed to have such a great job and work with such great students and families! the standard for piano pedagogy? I have. I have tried different approaches yet I always seem to return to the 30-minute model. It works well but there are also some challenges. I began learning the piano with a 30-minute, private lesson once per week. I am still teaching half hour lessons all of these years later. In fact, I feel like my whole life is divided into 30-minute blocks of time. Certainly, a half hour seems like a small amount of time to spend on something as monumental as learning to play the piano but this is what most teachers and students are working with. to cost, convenience, and efficacy. In layman terms, 30-minutes of piano class gives all of us the most “bang for the buck”. No doubt, it would be great if teachers could see each of their students every day, even all day! Piano School! Conservatory for everyone, music all day long surely, that would produce great students. Unfortunately, this is completely unrealistic not many people could pay for this and students do have to go to school and learn things like reading, math, and science. earn more and parents can pay less with group lessons but I have found that group piano lessons work best when combined with the traditional 30-minute piano lesson. Group classes work well for theory, music history, and recital practice. 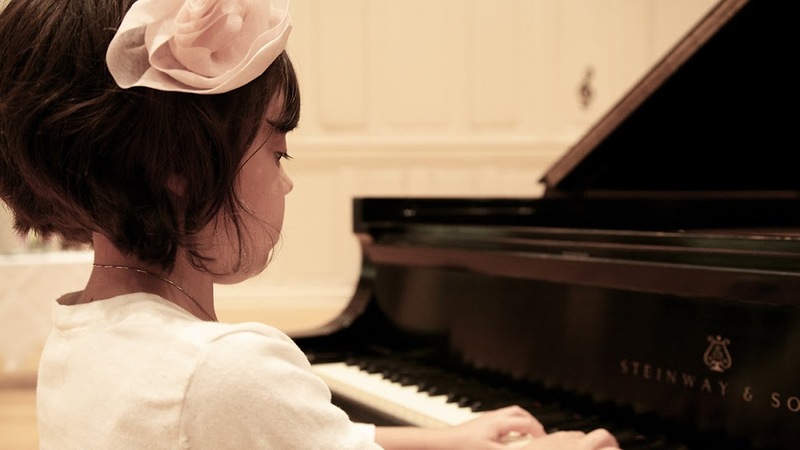 The piano, however, is not really a group instrument and most teachers only have one or two pianos in their studios, therefore, students have to share “key time” which is difficult. This brings us back around to the 30-minute piano lesson. How can we as teachers make the most of this small amount of time with our students? would love to have only half an hour of school each week, they all admit that they wouldn’t learn much. This is my chance to make the point that without regular practice they will not learn much piano either. individual student’s needs. Most experienced teachers are very good at this. With most of my students, the lesson begins with technical exercises. After that, I hear the pieces assigned the previous week. Sometimes the student needs more work on this material. If the student is ready, I introduce new music. We finish up with scales. I usually teach theory along with the music with which the student is working and send home extra theory work if needed. them to review at home (all of my parents and/or students have smart phones). I also direct them to the Paloma Piano or Pianoparents.net website/websites to watch a video or read something where applicable. away anytime soon. ( Although my advanced students take hour lessons). With good planning and regular practice, 30-minute lessons can work well for both students and teachers. Let’s face it; convincing your students that classical music is “cool” can be difficult. Most students would rather learn more contemporary songs. What these students fail to realize, however, is that they are missing out on all of the wonderful benefits of listening to classical music. Listening to classical music has a ton of both physical and mental benefits. For example, studies have shown that listening to classical music can help boost memory, spark creativity, and reduce stress levels. 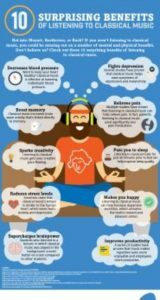 Next time you have a student complain about learning or practicing classical music share a few of these benefits with him or her. Who knows, he or she might become a super-fan of classical music. This article originally appeared on TakeLessons an online marketplace that connects thousands of teachers and students for local and live online music lessons. To read the full article, click here. Many thanks to Brooke Neuman and the great people at Takelessons.com for writing this post. Take lessons.com is a great place for piano teachers to find students and a great place for students to find teachers. There has been so much research on the benefits of listening to classical music and playing classical music is even better for people. 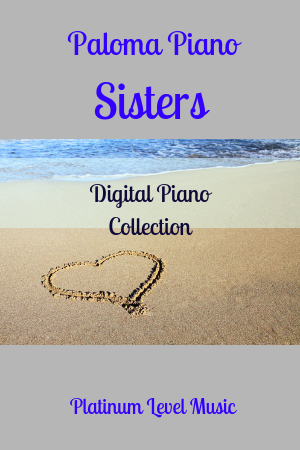 If you would like tons of free music you can download and print for your piano students. “Dance like music is the expression of the human spirit. Dance is visual music” S.Janaki. Dance and music. Last Saturday I attended a student dance recital it was exciting to watch the young dancers show off their skills. 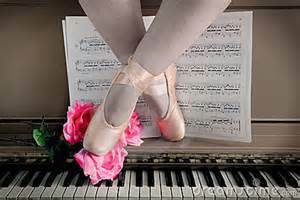 It was particularly exciting for me as a few of the dancers in the recital also happen to be my piano students. I encourage my students to participate in the “other arts” i.e. theater, the visual arts, creative writing but I am especially excited when I hear that a student is also a dancer! What better way to learn to internalize rhythm than to feel the beat and dance to the music! “Five-Six-Seven-Eight” Dancers count! They have to, there a bunch of them trying to stay together so counting is imperative. My piano students who also dance understand the importance of counting while learning music they don’t mind counting aloud. With most students I have to insist on hearing them counting as they play, dancers just don’t seem to feel awkward about counting. Which translates to greater rhythmic understanding in piano study. Dancers listen. The average dance student attends class three to four times per week. During class they are hearing music, all kinds of music, Jazz, Classical, Broadway, Pop, Hip-hop, you name it. All of this is great for music students because the more music you hear the better musician you are going to be. Musicians must listen, just like writers must read, and painters must look. Dance students spend more time hearing a large variety of music than the average piano student. One of the most difficult musical skills to acquire is the ability to keep a steady beat. Dancers move to the beat of the music. The whole body is involved. This internalizes the keeping of a steady beat. I work with adult and youth choirs when the singers are having trouble keeping feeling the pulse of the music it is not unusual for the director to have the singers march or sway to the beat of the music. Getting the body involved helps them to feel the musical pulse. Dancers do this naturally. I think that dance is a wonderful pursuit for girls and boys who also love music. people can dance at a dance studio or just put on some music and dance! It is as natural as singing, dancing is a gift for all to enjoy. And it surely helps the music student with rhythm. What do you think about dance and music? Leave a comment below. recital time fun and (almost) stress free. Here are 10 piano recital tips. 1. Select repertoire that is well within your students playing ability. 2. Give your students plenty of time to prepare the music. 3. Teach students to recover from mistakes,memory slips or other problems that may occur during the performance. 4, Have students play their recital pieces for each other when they come into your studio. 5. Teach students to bow properly and exhibit appropriate behavior during the recital. 6. Encourage your child to practice and attend lessons regularly. neat school clothes, or church clothes please. 8. Arrive on time and stay for the whole recital. Don’t leave after your child plays. 9. Turn off cell phones! 10. Let you child know how proud you are that they are participating no matter how he/she plays. 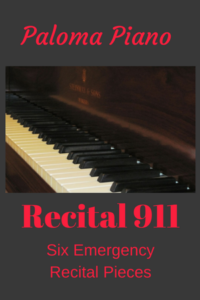 Let your child’s teacher know that you appreciate the effort required to host the recital. Above all have fun!! Meet the other families in the studio. I really look forward to recital time. so grateful to the parents and guardians who take the time to bring their children to piano every week. Recital time is a chance for us to do something excellent! To dress up, bow, and do your best. learn to carry on with poise and grace no matter what happens. My mother is an excellent seamstress – she can sew anything. She also knits and crochets. When I was a girl, my mother really wanted to pass these skills on to me. She would attempt to teach me but I just did not want to learn, I had no interest in sewing. 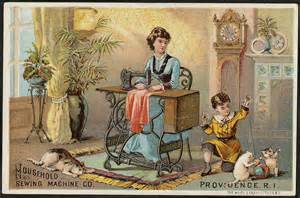 I would sit at the machine and try to sew in order to please my mom but I really did not want to. I found sewing tedious, and boring. My mom was nice about the situation but confused. “How can you sit at the piano for hours and practice isn’t that tedious?”, she would ask. “Not to me, mom”, I would answer. My mom finally gave up on the idea of teaching me sewing. Now mind you, (I tell my students and parents) I think people who can sew are awesome. I think it’s a wonderful skill. I truly admire people who can do it, but it is not for me. Even if I could sew instantly with no effort I wouldn’t want to. I don’t know why. I ask the student if he feels about piano the same way I felt about sewing. Many times, the student will say he hasn’t really considered this. (In other words, he says “I don’t know”). At this point, I put this question to him; “If I could magically turn you into a great piano player right now would you be excited about it?” Usually, the student will say yes. At this point, we talk about sticking with the piano so that he can reach the goal of becoming a great player. I work to try and figure out how to get him more excited about practicing. So that he won’t quit playing the piano. Once in a great while, a student will say no, he wouldn’t be excited about playing. If this happens, I assure him (and mom or dad) that it’s OK. Just as I didn’t like sewing, the piano is not for everyone. So do I dismiss the student at this time? No, not at all. I ask the family to discuss the matter. Some parents insist the student continue with lessons as part of their education. I actually applaud this line of thinking. All of my own children (5 boys) studied musical instruments, and not all of them were excited about it. I tell the student, “since you have to be here, why not learn to play?” Most times this helps to turn the student around. I think that people just want to be heard and understood. It IS about more than the 88 keys. That’s why students need teachers. 1) Music study is good for the mind; many studies show that over all children who study music do better in school. 2) Music study builds concentration, and focus. Having to practice and learn to read and play music requires a high level of mental engagement. 3) Music study gives people the experience of working toward long term goals. It takes and patience time to prepare a piece of music that is ready to be played for others. 5) Performing music can do wonders to build confidence; even the occasional “bad” performance can be a valuable learning experience. Perhaps the students learns that she must prepare more diligently for the next recital, or perhaps she had prepared but nervousness or some other problem kept her from playing her best. In this case, she must learn that this is sometimes the way things turn out and she will have the opportunity to do better next time. 6) Music study is fun, or at least it should be. Music can be a solo activity, or can be played with others. Making music with friends is one of life’s greatest experiences. 7) Playing an instrument is something you can enjoy all of your life. I have musician friends in the 80’s and even 90’s who still play as well or better than ever. 8) I really cannot think of any good reasons not to learn to play the piano. After all most people tell me that, they wish they could. Can you think of any benefit of piano study that I’ve missed? Leave a comment.